As of July 2018, the Google Drive Jupyter Client has been deprecated. 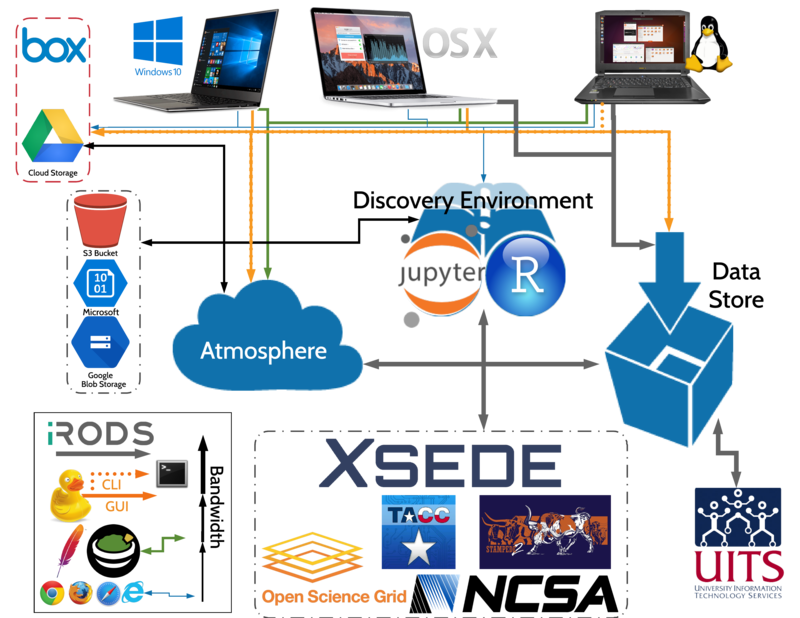 CyVerse has a developed a Jupyter Lab iRODS client similar to the Google Drive extension. CyberDuck is a GUI client that works in Windows and Mac OS X. It can connect to almost every type of proximate file sharing system (DropBox, Drive, AWS S3, SFTP, iRODS, etc). CyberDuck also has a CLI client that can be used in Linux. Ctrl + Alt + Shift to open the side bar. Select the Home folder (or a folder that your $USER has ownership of) and upload data. Congratulations! You’ve established ways to get data to and from your VM!